The 2568 plan is a single story with a foyer, enhanced by a volume barrel ceiling leading into a open dining room, double French doors leading to the library or optional 4th bedroom. The kitchen with its expansive island, opens to a spacious family room, which includes a fireplace and a 13 ½ ‘ waffle ceiling trimmed in beautiful crown moldings. Lots of natural light in the master bedroom with a double tray ceiling and a stunning master bath and spacious walk-in closet. The 2 secondary bedrooms are split away from the master and are a very generous size and a have bath conveniently located between with double vanities. Additional highlights include, 8’doors through, a covered patio, 3 car side entry garage, a powder room and sunlit breakfast room and a large front porch. Our private homesites range from .73 to 1 acre+ with breath taking views of the Hill Country! Helotes Canyon borders Government Canyon to the South and offers one-half acre to acre plus, treed, estate lots in a secluded, gated neighborhood. 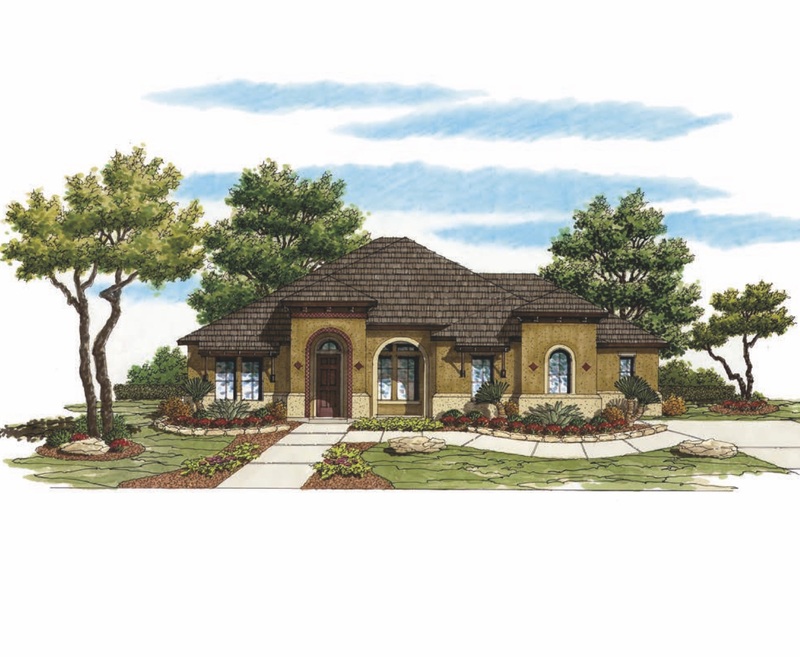 Helotes Canyon is Texas Homes' newest acreage community with 67 estate sized lots. The project borders Government Canyon State Park to the south with panoramic Hill Country views. Lot sizes begin at half an acre and range in size to over an acre. Home plans start at 3,000 square feet and can be optioned up to exceed 5,000 square feet. Featuring open floor plans, with gourmet kitchens, luxurious master baths, covered patios, media rooms, 3 to 5 car garages and more. Our award winning 4408 plan offers a casita option for multi-generational families. You can customize your Hill Country dream home with the many options and thousands of color and style choices available at the Texas Homes Design Center. Helotes Canyon is situated on Bandera Road, approximately 5 miles west of Helotes, in far Northwest Bexar County. Call Steve Coker at (210) 391-7319 to discuss the exciting opportunities for your new dream home in Helotes Canyon! The schools for Helotes Canyon are Los Reyes Elementary School, Dr. John M. Folks Middle School, and Sandra Day O'Connor High School.